Vitamins may not fill up your stomach physically, but some of them do play a role in regulating your appetite. Making sure you meet your daily vitamin needs may help keep hunger at bay when you're following a lower-calorie diet. Consult your doctor to discuss diet and supplement needs before making any changes to your diet. The B vitamins are known for helping turn food into energy, but some of them, namely thiamin, niacin and vitamin B-6, also help your appetite. Both thiamin and niacin normalize your appetite, while vitamin B-6 is involved in the production of serotonin, which is a hormone that aids in hunger control. Making sure you include meat, whole grains and legumes in your diet can help you get these hunger-controlling B vitamins. Like vitamin B-6, vitamin C also plays a role in the production of serotonin, which may make it an important vitamin for appetite control. To make sure you're getting what you need, be sure to include foods rich in the water-soluble vitamin such as oranges, grapefruit, kiwifruit, peppers, broccoli, spinach, tomatoes and peas. Most adults in the United States don't have a difficult time meeting their daily vitamin C needs, according to the Colorado State University Extension. Although the research is very preliminary, not getting enough vitamin D in your diet may make you hungry. According to the Vitamin D Council, low levels of vitamin D are associated with high levels of leptin. Leptin is an appetite-suppressing hormone, and it is theorized that obese people are resistant to leptin and have higher levels in their bloodstream, according to 2007 article published in Obesity Review. Most Americans don't get enough vitamin D in their diet, according to the Office of Dietary Supplements. Get your vitamin D from fortified milk and yogurt, egg yolks, fatty fish such as salmon and mushrooms exposed to ultraviolet light. Taking a multivitamin might be beneficial for appetite control when you're following a low-calorie diet. A 2008 study published in the British Journal of Nutrition found that women following a weight-loss diet reported less hunger when supplemented with a multivitamin. 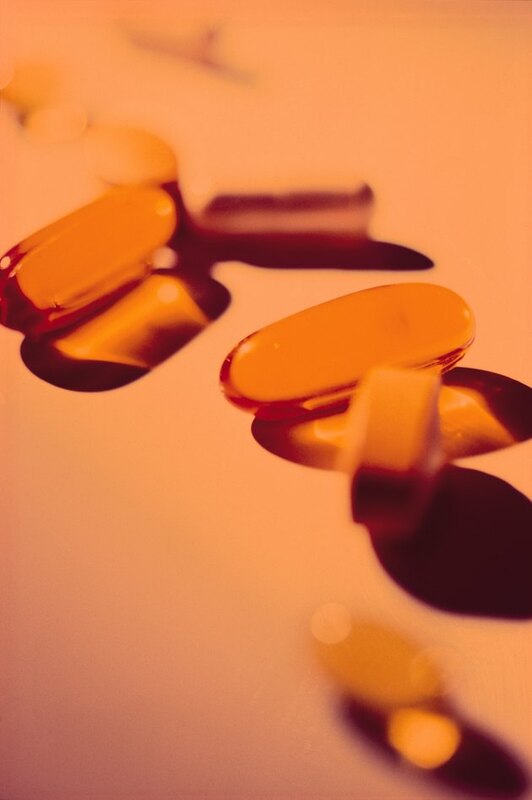 The study also noted that men lost more weight when taking a multivitamin supplement. The men did not report less hunger, however. The Academy of Nutrition and Dietetics suggests you take a multivitamin if you're eating under 1,600 calories a day. Why Might Vitamins Make You Hungry?